With Kamen Rider Zi-O heralding the end of the Heisei Era for Kamen Rider, and in commemoration of the 20th Heisei Rider himself, Tamashii Nations has announced the S.H. Figuarts Heisei Riders Rising Project! The Rising Project announcement promises the reveal of 3 new Heisei Rider figuarts in the near future. The first of these 3 riders will be revealed on August 24th. Currently speculation is running wild as to what these 3 figures will actually be. Will this be Kiva’s time? There’s Zi-O which begins airing next month as well, so now would be an ideal time to reveal his first figuart. Then there’s the possibility that 1 or more of these figures could be a Shinkocchou Seihou renewal of an out of date release like OOO, Fourze, or even Faiz. Exactly who these 3 Heisei Riders are, is something we’ll be watching closely in the coming weeks. So we’ll be sure to keep the community up to date! As well as the various suits from the Ultraman manga, Bandai’s Figure-rise Standard line also had plenty to show off from the Kamen Rider franchise at this year’s Summer Wonderfest. 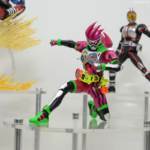 The most notable item on display was a coloured version of the line’s Kamen Rider Ex-Aid Level 2 model kit, whose release date has yet to be confirmed. Alongside it was also the recently released Kamen Rider Build RabbitTank kit. Also on display were Kamen Rider Faiz and Kamen Rider Kabuto, who were both previously released as part of the Figure-rise 6 range. Whether these two models here are different or about to be reissued (and if so if any changes have been made) is unknown, but we’ll bring you more news as it comes! Kiriya Kujou once made the ultimate sacrifice in the battle against Kuroto Dan. But in a universe full of game worlds, living viruses, and super deformed super heroes, it’s no wonder that the coroner with a cause would return! Making a return to the battlefield in our latest gallery, is S.H. Figuarts Kamen Rider Lazer Turbo Bike Gamer Level 0! Lazer Turbo once again utilizes the popular and wonderful Ex-Aid body type to full effect. A solid mold with ample articulation, Lazer looks just as stylish as ever. Though armed lightly with the Gashacon Sparrow, it can split into it’s Sickle Modes as well and even features an improved connection tab. 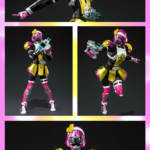 Looking stylish riding himself (Lazer Level 2) or teaming up with himself (Lazer Level 5), Lazer Level 0 is another welcome addition to your Ex-Aid collection. We’ve attached the complete 50 image gallery to this post and you can check out the full review thread by clicking “Discuss on the TokuNation Forums” at the bottom of this post. We’ll be back soon with a number of galleries from Garo, Ultraman Orb, Kamen Rider Build, and the original Kamen Rider soon! For those of you who needed more Kamen Rider model kits in their lives, we have good news for you: unveiled at the Shizuoka Hobby Show in Japan, we have a prototype sample of a Figure Rise Standard Kamen Rider Ex-Aid, the perfect accompanying piece for the upcoming Figure Rise Standard Kamen Rider Build kit. No release info was disclosed at the event as it still appears to be in the early stages of development. In addition, they’ve also announced that the Kabuto and Faiz kits will be reissued under this new sub-line. Stay tuned, and we’ll bring you more info on this kit as soon as it becomes available. Hiiro Kagami is the prodigy surgeon who can cut anything. Foil & ally to Kamen Rider Ex-Aid throughout the series’ run, Hiiro would eventually be forced into the service of Masamune Dan. With the hope of reviving his beloved Saki, Hiiro is forced to fight his allies and take on the power of his Game World self. Created from the data of True Brave, Hiro will have the legendary Taddle Legacy Gashat bestowed upon him, catapulting him to Level 100! Though Saki may be gone, Hiro will never give up hope that one day he can restore her and all those lost to the Bugster Virus. This is S.H. 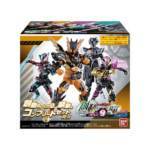 Figuarts Kamen Rider Brave Legacy Gamer Level 100! Brave Level 100 is another hotly anticipated release from Kamen Rider Ex-Aid. And it’s also an odd one. Bandai has skipped right past Hiiro’s Level 50 form for this Level 100 release. Maybe one day they’ll go back to it? For the most part this figure is one we’re intimately familiar with thanks to the Level 2 & Level 5 Brave releases, but the new regal Legacy Gamer armor and cape parts are really interesting new additions to this otherwise fantastic mold. Adding to this we finally have a properly complete version of the Exploding/Freezing Gashacon Sword as well! We’ve attached our full 60+ image gallery of Brave Level 100 to this post but you can also read our full review by clicking “Discuss on the TokuNation Forums” at the bottom of this post. We’ll be back soon with more new galleries from Kamen Rider Kabuto and Choujuu Sentai Liveman! Another new release has just been teased for fans of Kamen Rider Ex-Aid and SH Figuarts! 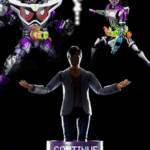 This new teaser image suggests that DAN KUROTO himself will be obtaining a Figuart release! Even after previous entries for Kamen Rider Genm and the recently-teased Genm Level Billion fans are apparently STILL demanding more representation of this amazing character! 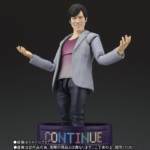 Sadly, no other information about this upcoming figure is available at time of writing- although based on the image, this release would include Kuroto’s CONTINUE pipe that allowed him to respawn when defeated. Stay tuned to Tokunation for further details on this exciting release! S.H. Figuarts Kamen Rider GenM Level Billion Official Images Released! The Tamashii Nations website has just updated it’s Ex-Aid page with a set of official images for the highly anticipated upcoming release of S.H. 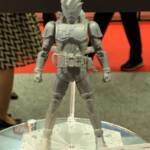 Figuarts Kamen Rider GenM God Maximum Gamer Level Billion! This mighty figure is scheduled for release in September 2018 for 9936 yen and will be a Tamshii Web Exclusive. Be sure to contact your preferred web exckusive middle man service to secure an order for this figure in the near future.